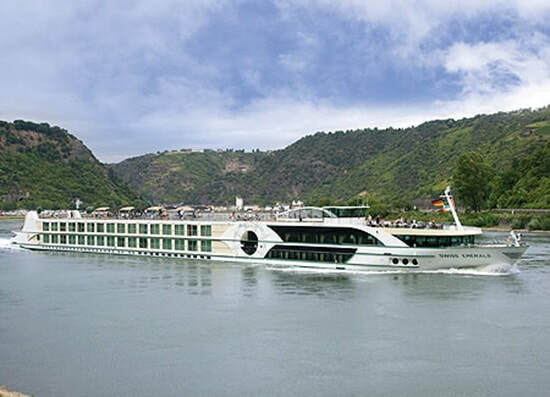 On one of the most enjoyable river cruises in France, journey from the jet-setting capital of Monte-Carlo into Provence to Arles to board ms Emerald for a cruise along the Rhône River to Lyon and then along the Saône. Travel into the countryside past vineyards where some of the world’s best grapes become some of the world’s best wines, stopping to taste some of them. Discover why Nice is a perennial favourite of sophisticated travellers. Go on a city orientation walking tour this morning, followed by time to explore as you please. It may seem strange to encounter Roman ruins in Provence but Arles was, after all, once a Roman city; while the gladiators are gone, the arena they left behind – just one of the town's many Roman remnants – still hosts performances and bullfights today. Ernest Hemingway called Paris a “moveable feast" – and even if you’ve been here many times, today might be the day that you discover something about the city that you didn’t know before.